Here's Californian Chanel Tapper with the longest tongue in the world - it measures 3.8 inches from tip to top lip. Pauline Potter from Sacramento, Calif is the fattest female in the world. When she was weighed on May 13, 2010, she tipped the scales at a whopping 643 pounds. Werewolves may be fictional, but there's nothing fictional about one super hairy family. Jesus Manuel Fajardo Aceves and Luisa Lilia De Lira Aceves are two of a family of 19 that spans five generations all suffering from a rare condition called congenital generalized hypertrichosis - in other words, they all have excessive facial and torso hair. The women are covered with a light to medium coat of hair while the men of the family have thick hair just about everywhere, except on their hands and feet. How short is the shortest man? A mere 24 and 1/4 inches tall. 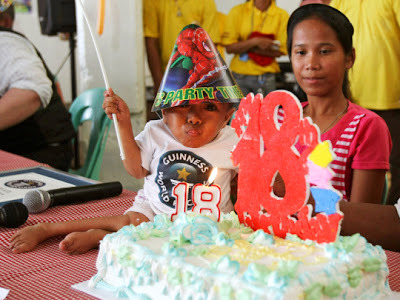 When Junrey Balawing, from the Philippines, turned 18 on June 11, 2011, he was officially deemed the shortest living adult man. 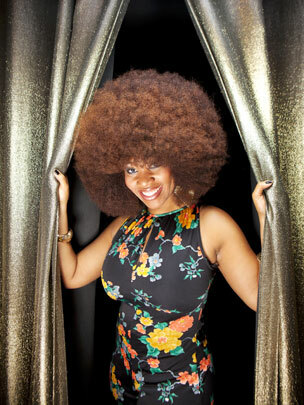 In a city known for attractions, Las Vegas resident Christine "The Dutchess" Walton does not disappoint. 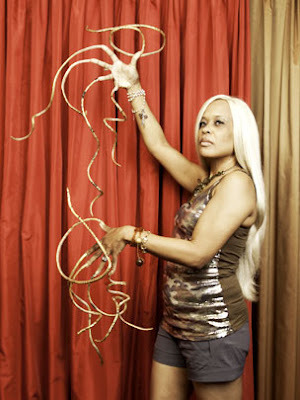 She is the proud owner of the world's longest fingernails - they measure 10 feet and two inches on her left hand, and nine feet and seven inches on her right hand. Talk about a piercing stare. 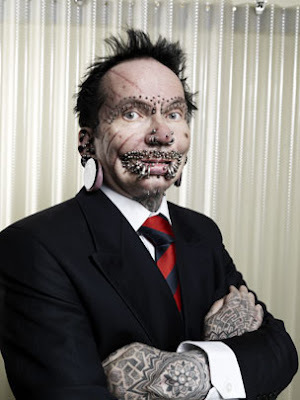 Rolf Buchholz, from Dortmund, Germany, has a total of 453 rings and studs all over his body. These include 94 piercings in and around his lips, 25 in his eyebrows, eight in his nose and 278 in his genital area. 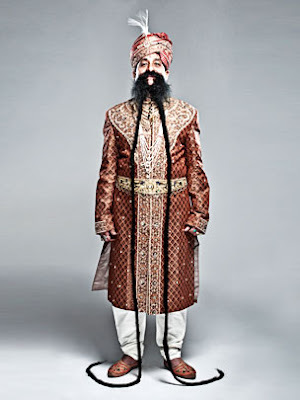 Is facial hair still called facial hair when it drapes down the body? When Ram Singh Chauhan's mustache was measured during a records show on March 4, 2010, it was an impressive 14 feet long. There are countless volume-boosting hair products out there, but Aevin Dugas, from New Orleans, boasts the largest natural Afro. It's four feet and four inches in circumference. Humans aren't the only ones with extreme body parts. 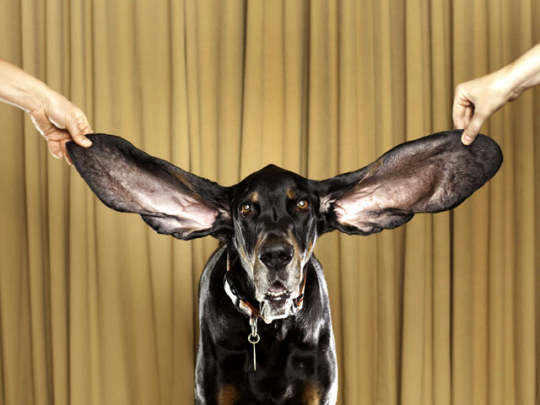 Meet Harbor, the dog with the longest ears, from Bachelor Gulch, Colorado.